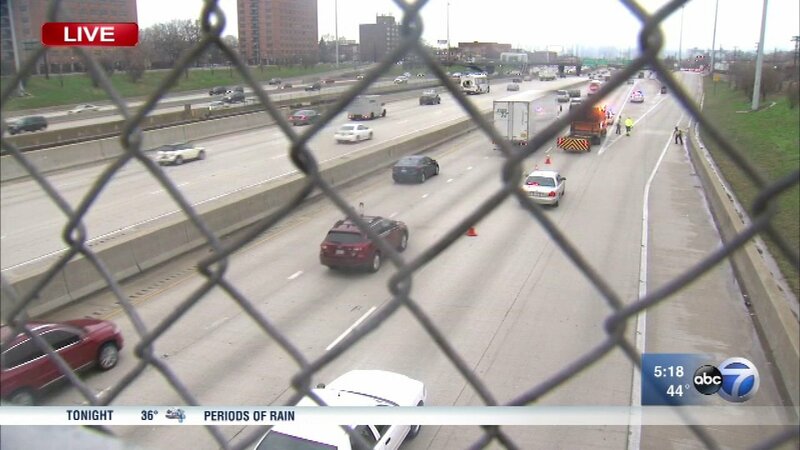 CHICAGO (WLS) -- Bullets struck a man's vehicle several times while he was driving on northbound Dan Ryan Expressway near 33rd Street Thursday afternoon, according to Illinois State Police. The man was heading north in the local lanes of northbound I-94 around 4:05 p.m. when his rear window was shot out, state police said. He said the shots came from a silver or gray van, which exited the interstate at 31st Street. The man got off the highway after the shooting, police said. He was not hurt. Some inbound local lanes were closed at 35th Street as officers searched for shell casings. They reopened Thursday evening. The shooting remains under investigation. Anyone who witnessed the shooting or has information pertinent to the investigation should call ISP at 847-294-4400. Callers may remain anonymous.